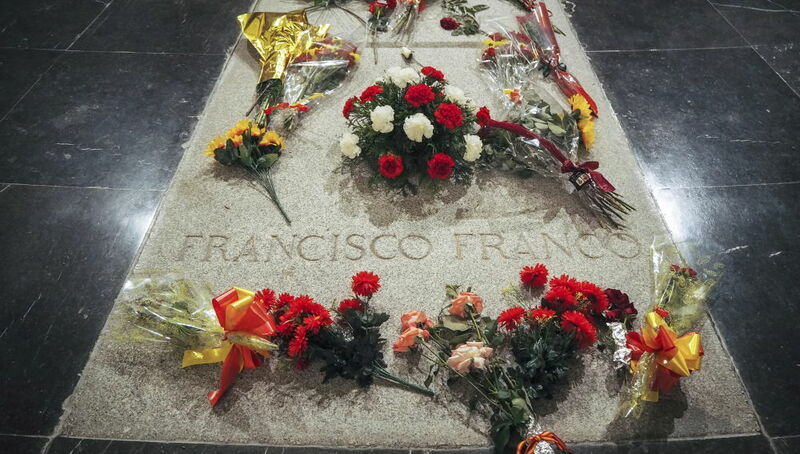 Madrid: The great-grandson of Francisco Franco is leading opposition to Spain’s bid to remove the dictator’s remains from an opulent mausoleum where they have lain for more than four decades, calling it an attack on over half the country. The heirs of Franco, who ruled with an iron first from 1939 until his death in 1975, have long been regular grist for the gossip mill, with their divorces, marriages and parties featuring prominently in Spain’s glossy magazines. But ever since Prime Minister Pedro Sanchez announced in June plans to rebury Franco in a more discreet place, Luis Alfonso de Borbon has emerged as the family’s most outspoken defender of his great-grandfather’s legacy. The 44-year-old banker, a pretender to the defunct French throne, took part in a July demonstration against the exhumation at Franco’s crucifix-topped resting place in the Valley of the Fallen, a vast monument the dictator built with forced labour.